also a writer and broadcaster. There is a wonderful site about Kevin’s life and work, from which this page is extraced, here. Kevin soon rose from “assistant office-boy” to Progress Chaser – this job involved co-ordinating the production elements of a new LP – finished master, cover photography and design, sleeve notes – and making sure the LP stayed on schedule. He stayed in this role until he got the opportunity he’d been craving – working on the sound side of the business. His first real job in the record industry was in the Duplicating Room. (He learned the skills which would serve him well in the years ahead – he would eventually come full circle and spend his last years in a room alone, transferring 78s onto reel-to-reel tapes, then expertly editing them to remove the clicks and scratches, the carpet eventually disappearing beneath the confetti of tiny sliced-out tape segments.) In May 1959, he became engaged to local girl Margaret Buss, who, appropriately perhaps, he met at Alf’s market stall; Alf would seek out cheap classical 78s for her. They married the following year, and moved from their local Kentish Town to Highbury, and it was there that their first son Michael was born in 1961. At around the same time, Decca Studios in Broadhurst Gardens began to build their large Studio 3 at the back of the complex, off West Hampstead Mews. Decca bought up the leases of several adjacent properties, and in 1963, offered one of the flats to Kevin and his family. And so in June, the Dalys moved into 159 Broadhurst Gardens, almost right next door to the studios themselves. Decca in those days was clearly a friendly, happy place to be, with a nice crowd of people. The inside of the studio building itself, once upon a time the Crystalate Studios, was often described as submarine-like: long corridors on different levels, large pipes along the walls; there were a myriad of doors opening onto editing rooms, transfer rooms, and of course, the three main studios themselves. The new Studio 3 was a long way from the front door – the whole length ofthe Decca submarine. Studio 1 was straight ahead as you entered the building, its control room high above the studio, accessible by a steep flight of stairs; Studio 2 was downstairs, and was the most intimate, and the most modern in feel. It was here that Kevin would record many of his albums as producer. 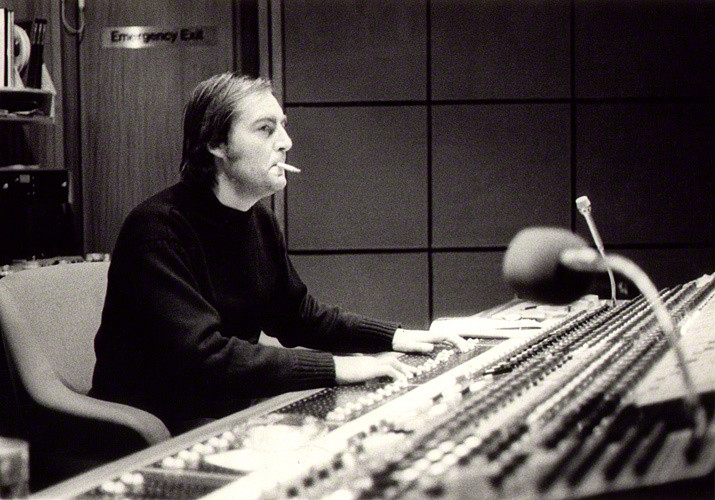 Kevin was in the Decca studios when the Beatles had their audition (Decca notoriously turned them down), and knew Gus Dudgeon, then also working at West Hampstead as an engineer. Soon Kevin was working as an assistant engineer on Decca’s Phase 4 label, with the producer Tony D’Amato and engineer Arthur Lilley, on large classical recordings, with artists such as Leopold Stokowski and Carlos Paita. (When asked by D’Amato for a short orchestral run-through for sound levels, Stokowkski replied, “You know the work, I know the work, the orchestra knows the work – let us begin”, and promptly started; only Kevin and Lilley’s quick-wittedness saved the day. He also worked with Sir Michael Tippett, Sir Arthur Bliss and Jacques Loussier, and was starting to make a mark for himself as an ambitious and capable member of the Decca team; but his career was about to be pulled into a new direction. To find out more about Kevin’s multi-faceted life, click here.